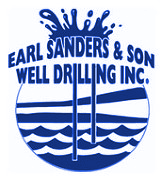 Water Well Drilling - Earl Sanders & Son Well Drilling Inc. | Kalamazoo and Southwest Michigan Well, Water & Irrigation Services. The water under your residential, commercial, or agricultural property can be useful in your day-to-day life. 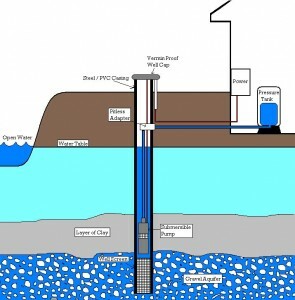 Our experts can help you drill a well that will last for years. A high quality water well can give you water to help with your heating and cooling system, or even provide you with drinking water. 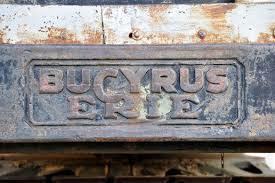 For over 70 years, people have come to us for expert service on their new water wells and replacement water wells. 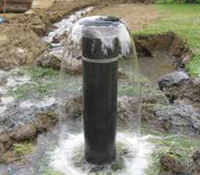 We offer steel-cased water wells ranging from 4″ to 12″ in diameter. People love the dependable equipment that we supply. We only work with name brand manufacturers like Pentair/Sta-Rite so that you get a system that you can rely on. The pump system for your well always comes with a manufacturer’s warranty backing up the quality of their product.